Earlier this week, my hubby took my son out on a date night, so my girls and I headed to Chuck E. Cheese’s for dinner and fun. Since our oldest, who is now 14, was little we’ve always enjoyed taking our kids to Chuck E. Cheese’s. It’s a perfect way to enjoy a meal and fun games with your kiddos. We’ve made so many memories over the years and with our babies being three years old and one we have many years of memories to make. 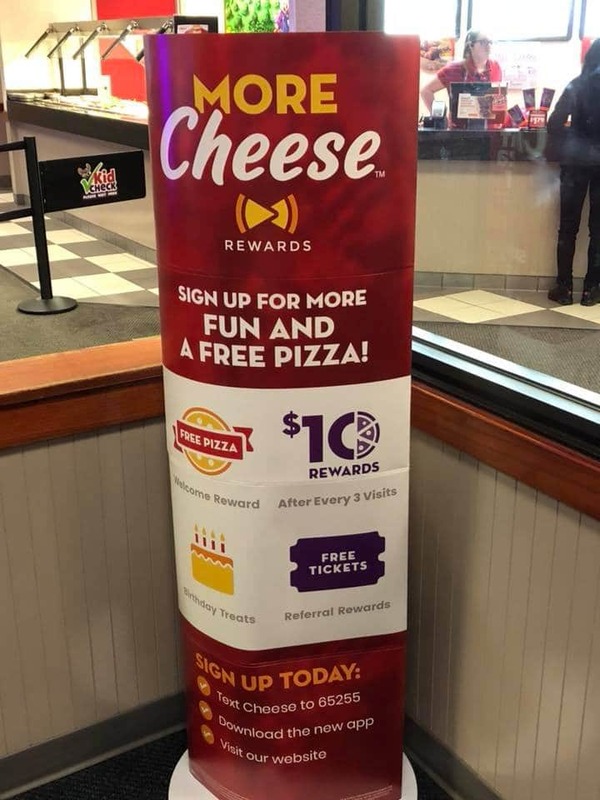 I was especially excited to hear about Chuck E. Cheese’s new More Cheese Rewards program that was just released. I’m all for rewards programs and easy ways to save money when we can that don’t require much effort as I am sure most mommas would agree. The food is always yummy, and there is so much fun waiting for us after we eat it’s almost hard to sit still. With kids of varying ages ranging from 14 to 1, I appreciate the fact that Chuck E. Cheese’s has games and rides that are appropriate for all ages. I was thankful for an information card about the Chuck E. Cheese’s More Cheese Rewards program that came with our play pass. I was, of course, curious about the details of the program and was excited to see that it genuinely offers real rewards that would be valuable to my family as the more we visit, the more rewards we can earn to use on food, drinks, games, and prizes! Who doesn’t love pizza rewards, coupons, deals, and birthday Rewards? I mean, seriously, sign me up! Seeing my oldest daughter with her 3-year-old sister warms my heart so much. I can remember when she was 3. 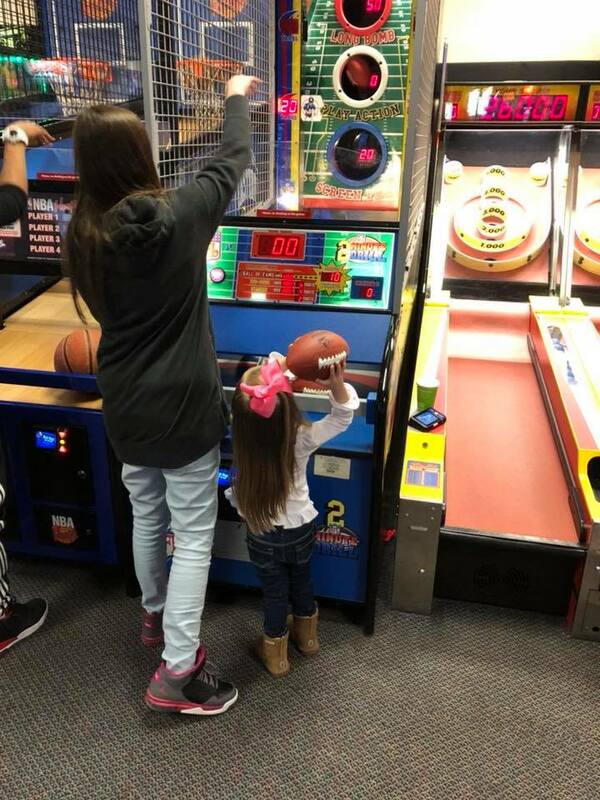 Oh, the memories we have made over the years and how they come flooding back now that we are bringing our baby girls to Chuck E. Cheese’s to make memories with our older kids. It just warms my heart to see my oldest daughter teaching her baby sister how to play games that we taught her to play years ago. Now, that fun gets even better with a new rewards program called More Cheese Rewards. The fact that it offers a free pizza as a welcome reward made it particularly enticing. I think rewards programs are a fantastic way to make the most of something you already love. I’ve included details below about the program and two easy ways to get started earning rewards. There are two ways to sign up for More Cheese Rewards to earn rewards that you can use to use on food, drinks, games, and prizes! * It was so easy to sign up via mobile. I screenshotted the steps above. Once you sign up you do have to verify via email and a code is sent to your phone. Once you confirm everything, you get your very first reward, which is a free personal one-topping pizza on your next visit. Website – Visit Chuck E. Cheese’s online to sign-up here. *The first screen is the homepage of Chuck E. Cheese’s. Click the More Cheese Rewards (see arrow) and then create an account and you will be on your way to earning rewards. 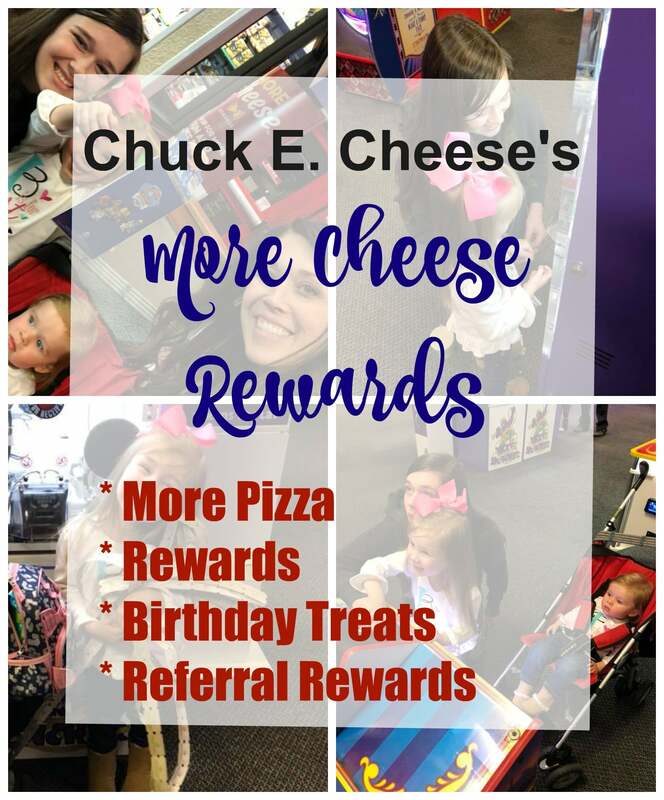 If you haven’t been to Chuck E. Cheese’s lately, plan a trip to check out their More Cheese Rewards program. Make sure to check out their online coupons before you go for the best deals. 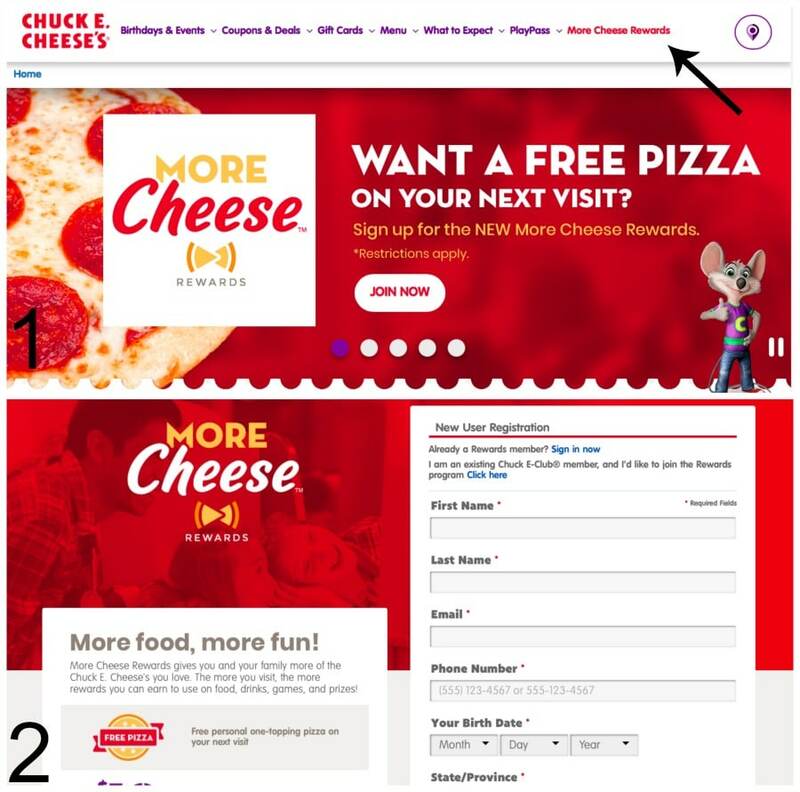 You can follow Chuck E. Cheese’s on facebook, twitter, and Instagram. Don’t forget to sign up for the More Cheese Rewards to get your free personal pan pizza and start earning rewards.